I found this to be a good addition to our “Fruit of the Spirit” studies we are doing this harvest season. We have been using the Shepherd My Child “Fruit of the Spirit” Scripture cards as well as the Learning to Speak Life: Fruit of the Spirit Family Bible study over the last month and a half or so. 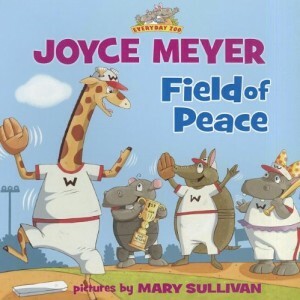 This book is a great one to include as you are discussing “Peace” with your children (the book is geared towards children 4 and up).